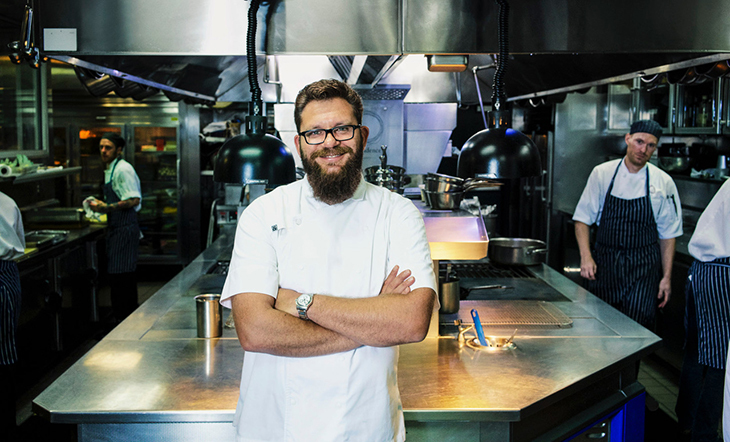 Chef and Beard Award nominee Michael Cimarusti is a soldier in the fight for more sustainable seafood. Besides his two lauded fish-forward restaurants, Providence and Connie & Ted's in Los Angeles, Cimarusti has been heavily involved in sustainable sourcing start-up Dock to Dish and fishing industry watchdog Monterey Bay Aquarium’s Seafood Watch, and recently opened Cape Seafood and Provisions, a retail fish market. JBF: For those who can’t get to Cape Seafood in Los Angeles, where do you recommend people buy fish? Michael Cimarusti: That’s tough. You buy fish wherever you can find it, right? You look for the finest quality that you can, and you look for a shop or market that has an idea of where their fish is coming from, how it was caught, and whether it’s wild or farm-raised. Ideally, you’re looking for a business that’s a partner of Monterey Bay Aquarium, or at least displays exactly where the fish is from. If the descriptions or the names for the fish are generic, or if the answers that you get when you ask the fishmonger are not specific enough for you, then you should dig a little deeper. For example, if there’s a label that just says “sea bass,” that’s where you find yourself with problems. When people are vague about what a species is or where or how that species was caught, that’s when you wind up running the risk of getting something you didn’t you didn’t bargain for. Basically, the more information offered, the better off you are. JBF: Would you suggest that people look at Monterey Bay Aquarium Seafood Watch website for who they partner with? MC: Absolutely. If you can find a partner in your area, that’s perfect, but short of that use the Seafood Watch card that Monterey Bay Aquarium puts out. They have one that covers the whole country, and then there are also region-specific cards—for southern California, northern California, the Pacific Northwest, the Gulf of Mexico, and so on. The research that they put into creating those cards is unimpeachable. It’s fully independent and self-funded, so they’re going to give you the very best recommendation that’s possible. JBF: What are the top three species that you would tell people to avoid buying? MC: Bluefin tuna, first and foremost. Second, I’d tell people to be wary of shrimp. If you’re going to buy it, it’s incredibly important that you know where it’s from. There’s a whole bunch of shrimp that’s farm-raised in ways that are really bad for the planet, and there’s also a lot of wild shrimp that are being harvested in areas of the world that are outside of regulations. There are a lot of cheap imports that find their way into the American market and shrimp is among them. Third, I would say “mystery fish.” Fish that is just not labeled very well, like snapper or perch. There are all sorts of perch or snapper out there. Which snapper is it and where did it come from? The bottom line is: cheap fish is never good and good fish is never cheap. That’s not to say there isn’t value. There are plenty of value-oriented fish out there; it’s just that you really have to do a little bit of digging to find those fish. If the price is abnormally low, you should think twice. JBF: If people don’t have access to wild-caught fish, are there any farmed species that you’d recommend? You have to get really specific, down to the individual farms from specific regions. It’s always about education when it comes to these things. Fortunately, Seafood Watch does the work for you. So if you get yourself one of their pocket guides, then you’re already ahead of the game. They’re reporting exactly what they find without any filters so, that’s always the best recommendation. JBF: The tricky thing about that is what kind of access you have on the retail end. MC: Of course. But there are online vendors that Seafood Watch would point you towards and many of their partners actually sell fish to people all across the country. JBF: What do you think about frozen fish? Are there any particular types of fish that work best for buying frozen? MC: I’m not a big advocate of it, but it’s a luxury for me to be able to say that, because here in L.A. we can get fresh fish year-round. There are some things that freeze better than others. Shrimp freeze very well, but whether it’s fresh shrimp or frozen shrimp, you want to be looking for the same things in terms of sustainability. Squid and king crab are also good bets for frozen. Wild Alaskan salmon, which is very sustainable, is frozen at sea for various uses. You could go to Costco or Trader Joe’s and buy salmon that was portion-cut and frozen in the plants up in Alaska and then shipped down to the Lower 48. But it’s important to remember: frozen fish is just a fresh fish in a package, so you’ve got to make sure that you’re still looking for the most sustainable product, whether it’s fresh or frozen. JBF: What are some good species to experiment with, if you’re trying to expand your seafood palate? MC: When we get people coming in asking for branzino, they’re usually just looking for a small fish that they can grill whole. We always point them in the direction of porgy, also known as scup, which is a fish that’s native to the mid- and north Atlantic. They’re tiny little fish, but they’re delicious and fatty and perfect to just grill whole. Mackerel is another good option because you find them in every sea. 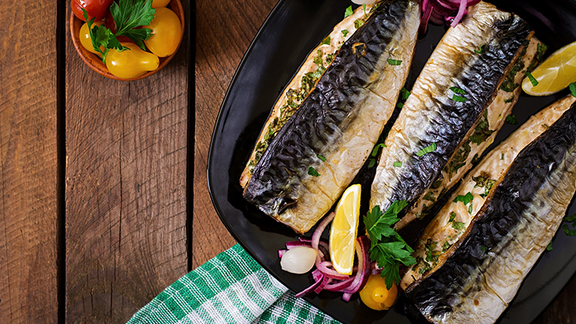 There’s Boston mackerel, which comes out of New England, and we have Pacific mackerel, which is absolutely one of the most delicious fish that swim and also one of the most affordable. Striped bass from the East Coast is one of my all-time favorite fish. Wild striper, which is running right now all throughout the summer months, is incredible and as the summer wears on, the price on it usually comes down. And of course, Alaskan salmon. Alaskan king salmon is usually fairly expensive, but they are alternatives like sockeye salmon, which is cheaper, delicious, and has that same color and beauty. There are all sorts of things I could recommend—I could just go on and on. Learn more about JBF’s sustainable seafood program, Smart Catch. After you’ve hit the market, try our recipes and cook up a sustainable seafood feast. Originally published on July 20, 2017 at jamesbeard.org.